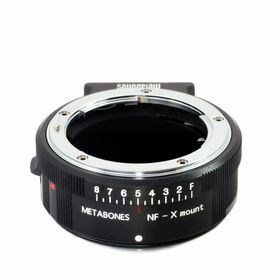 The matte black Nikon G Lens to Fuji-film X-Mount Camera Lens Mount Adapter from Metabones allows you to attach a Nikon F-mount G lens to a Fuji-film X-Mount camera. 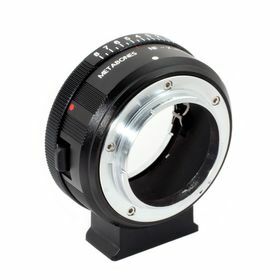 Metabones' adapters are precision-machined with brass and plated with chromium on both sides of the adapter. 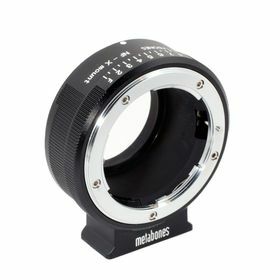 It is also designed to allow lenses to reach infinity focus while maintaining the correct registration distance required to support CRC lenses or lenses with floating elements.